I have had the pleasure & honour to be featured on different blogs. These are some guest posts, or interviews that I have done elsewhere around the web. “Gluten Free Onion Rings” recipe was published in “The Foodista Best of Food Blogs Cookbook”. Recipes have been featured on Celiac Handbook. Guest post “How to eat gluten-free on a budget” published on Simply Frugal in Canada. Interviewed for Member spotlight, “Misconceptions of a Gluten Free Diet” on Real Women of Philadelphia (Canada). Guest post “How to Host a Gluten-free Dinner Party” published on The Kitchen Witch. WON Redpath Sugar’s “Crème de la Crème” contest with the Gluten-Free Pumpkin Cheesecake. Baking my Winning Pumpkin Cheesecake with the Mix96 Morning Show! Interviewed by the Red River Valley Echo after winning Redpath Sugar’s “Crème de la Crème” contest. 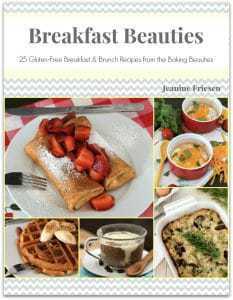 Two recipes included in Huffington Post Taste “11 Best Gluten-Free Breakfast Recipes“. Featured on Save Money in Winnipeg. Won Be Well’s “My Cookies are the Best” Contest with her Gluten-Free Sour Cream Sugar Cookies. Gluten-free Strawberry Shortcakes recipe was featured in the Vancouver Sun, as well as many other affiliated newspapers. Featured in The Winnipeg Sun on May 15, 2013. Featured in the Manitoba Co-operator on April 26, 2013. Shared a recipe on The Daily Meal. 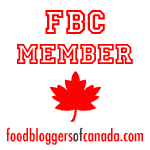 Featured Member of Food Bloggers of Canada. Featured on Redbook Magazine Online Gluten Free Super Bowl Food article.